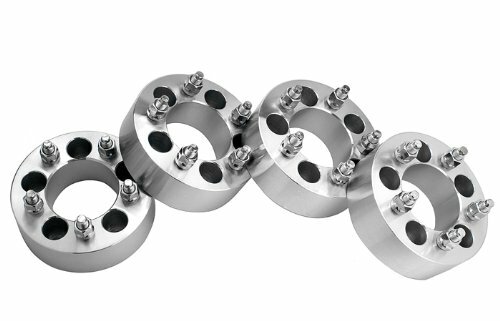 If you are looking to eliminate rubbing instantly, mount a larger wheel or tire, increase stability, and give your vehicle a more aggressive stance, our wheel spacers kits are exactly what you need to make all that happen! Installation is extremely easy, and can be done in about the same time it takes to change a tire! Our kits come with everything you need for a complete installation from start to finish! What you see in the pictures, is what you'll get! Each kit comes with the spacers, machine pressed studs, and nuts. Its a very simple bolt on part, and not only can they solve most fitment issues, they also provide a huge amount of opportunity for all sorts of future upgrades! If you have any questions about this product by easywheel, contact us by completing and submitting the form below. If you are looking for a specif part number, please include it with your message.